Ivory James sired three qualifiers to the Grade 2 $115,160 West Texas Maturity on Friday at Sunland Park Racetrack & Casino. SUNLAND PARK, NM�FEBRUARY 17, 2017�Royal Vista Ranches' multiple stakes sire IVORY JAMES got three qualifiers on Friday to the Grade 2 $115,160 West Texas Maturity at Sunland Park Racetrack & Casino. The 10 fastest qualifiers, from three trial races contested today at Sunland Park, will return on Sunday, March 10th to vie for the $53,097 Maturity winner's purse over a 400-yard course. Gbh Gunsmoke was much the best in the final trial (Race 9) under jockey Oscar Cordova, winning by one length under a hand ride. The 4-year-old son of Ivory James recorded the second fastest time of :19.219 seconds, a 97-speed index. Owned by PBT Racing LLC and conditioned by trainer Alfredo Sanchez, Gbh Gunsmoke was the first of three West Texas Maturity qualifies for his sire Ivory James. Gary Harstack bred the gelding in New Mexico from the Streakin La Jolla mare Streaking For Toni. The five-time winner has earned $60,337. Sf Hot Pass posted the 5th fastest qualifying time after competing the second trial (Race 8). Trainer Jose Ramos saddled the 4-year-old out of Passem Up Perry by Mr Jess Perry. Stormy Fisher owns the Texas-bred gelding who entered the race off a trial win in the Hobbs America Derby(G3) in September. Oscar Cordova rode the gelding to a :19.346 clocking to get the 5th fastest time. P & J Racing Ltd. And D. Stroebel is the breeder. IVORY JAMES final qualifier, Flare For Ivory, also came out of the second trial. Jose Manuel Barron conditions the 4-year-old colt for Hugo Barron Sierra and Marguerita Melendez. Vaughn and Jill Cook bred Flare For Ivory in Oklahoma form the Special Effort mare Special Phoebe. He recorded the 8th fastest time of :19.395 seconds. 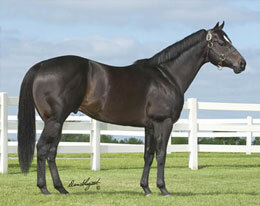 A finalist in the Grade 2 Heritage Place Derby last season, Fare For Ivory has earned $60,928. For a complete list of qualifiers, times, sires, dams, owners, breeders, trainers and jockeys to the 2017 West Texas Maturity(G2) CLICK HERE.